Come along on this journey and slow down to `island time’. Discover the gems of this community that are twelve miles from the mainland and you’ll experience the allure that has artists coming back for more. 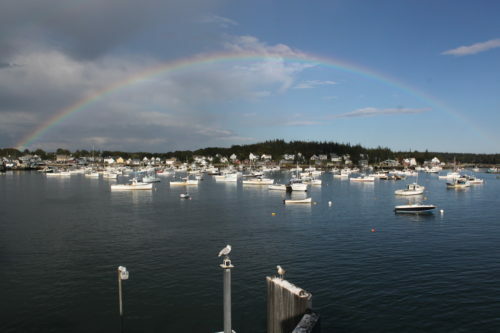 A magic moment on Vinalhaven. TOUR PRICE: $595, includes photo tour, group transportation on tour, welcome dinner. Breakfast is included in your lodging fee. Exclusions, cancellation policy, and lodging fee info are at the bottom of this page. Join us and immerse yourself in island life. This tour is perfect for all photographers & all camera types. You will be met at your skill level with guidance to build on your camera-handling techniques and to expand your personal vision with tips on seeing and composition. 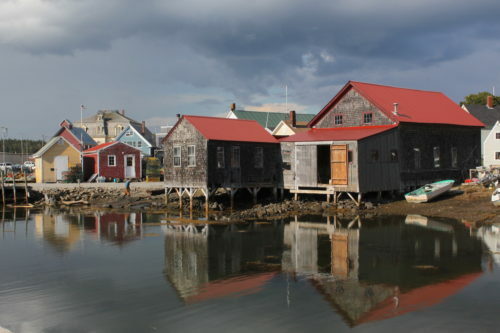 Your destination is a small, self-sustaining island with a year-round, diverse population of 1200 – from a thriving lobster fishing industry to artist studios and galleries. Be swept away by the culture, the pace, the quaintness, the people, the landscape and the ocean views. The topography of VH is carved with many inlets and peninsulas. 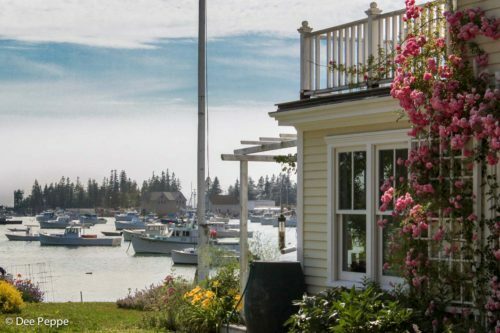 Excursions to hard-to-find locations and hidden spots offer beautiful bay scenery, serene preserves, granite quarries, spruce-covered islands, rocky coastlines, and working farms. 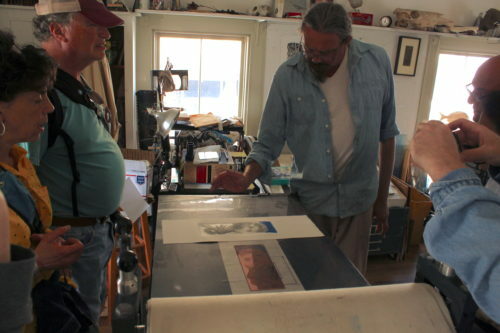 Dee has been bringing photographers to Vinalhaven for more than 30 years. Her connections there will allow you to experience the island like a local. This image-making adventure will include photo demonstrations and discussions, hands-on exercises to practice techniques, and critiques. Group size will be small, and you’ll have a lot of individual attention. Take advantage of around-the-clock photo opportunities with island sunsets, ocean sunrises, and the evening sky in between. The dates of this tour were planned around the New Moon so that the stars and planets will be most visible. We’ll be up early and to bed late. You are welcome to participate as much or as little as you wish. Our itinerary is dependent on weather and other unforeseen circumstances. 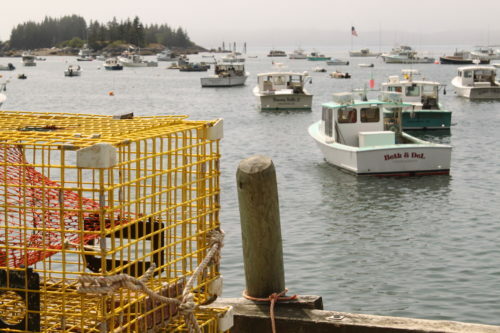 Activities may include nature trail hikes, visiting a working artist’s studio, diving into the rich history at the museum, taking a boat ride for a picnic lunch to a nearby uninhabited island, riding a skiff across Fox Island Thoroughfare to the neighboring island of North Haven, explore a busy working harbor with one of the largest lobstering fleets on the Maine coast, or swimming in the crystal clear quarry water. Your tour begins early afternoon on Monday, Sept 16. The last ferry to leave Rockland to accommodate this schedule is the 10:30 a.m. boat. 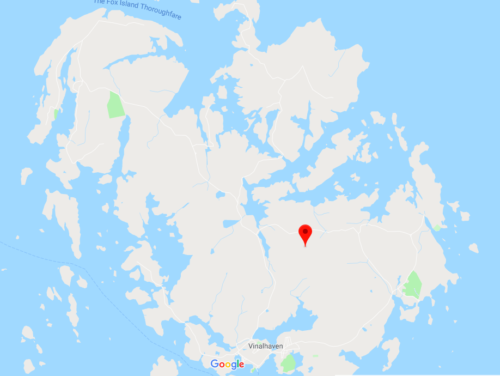 Also, on our last day, Thursday, Sept 19, we will stay on the island until the last boat leaves for the mainland at 4:30 p.m. Depending on your travel distance, you may need to make lodging reservations on the mainland or on the island for the night before and the night after the tour. Please call if you have any questions. NOTE: there is wifi, but cell phone service is very limited, if at all. Make sure that you let your contacts know that calls and texts may not reach you, and that email is the best way to contact you. There is a landline at the motel where your contacts can reach you in case of an emergency. Plan to leave your car at the ferry terminal parking lot on the mainland in Rockland (daily fees apply, see below) and let your feet be your chariot for a few days. We will have transportation on the island so that we can explore every nook and cranny, but you will have many opportunities for exploring by foot. There are bicycles and kayaks available to rent if you’d like to explore areas outside of the village on your own. These activities are not included in the price of your tour. TOUR FEE DOES NOT INCLUDE: lodging, transportation to the island, parking on the mainland, lunches, other dinners, private excursions, alcoholic beverages, and gratuities. See below for lodging reservation information. REGISTRATION: If you’d like to pay with a credit card you will need to go through the online booking by clicking the Book Now button. You will be required to pay 100% of the tour fee and there will be a service charge of 6% by the booking company. If you’d like to pay with cash or check, contact us for a registration form. Fill it out and send along with a minimum deposit of $75. Your balance is due 60 days before the tour date. CANCELLATION POLICY: We will give a complete refund in the event that we need to cancel your tour for any reasons. If you cancel your registration more than 45 days before the start of the event, your tour fee will be refunded to you, minus a 15% processing fee. If you cancel less than 45 days before the start of the event, your tour fee (minus a 15% processing fee) will be refunded only if we are able to fill your slot in the program. To cancel you must contact us to activate the cancellation and to make sure the refund goes through properly. We suggest that you consider travel insurance. 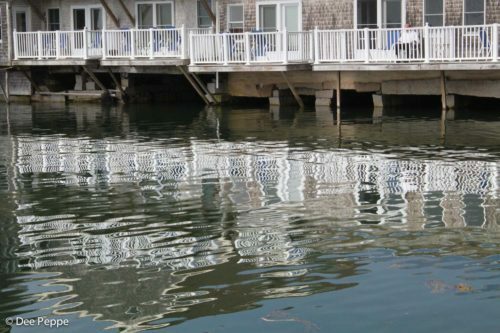 You will be lodging in the village, on the edge of the harbor, and over the rushing tide, literally, at the Tidewater Motel. Rooms are bright and pleasant. Room rates average $185 a night. We have a few rooms set aside and you will book directly with the Tidewater. Once you have registered for your tour, you’ll get a reservation code to book your room. 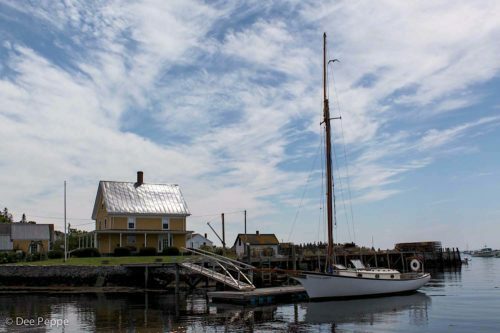 Tidewater Motel is at 207-863-4618 (book nights of Sept 16, 17, 18). Motel cancellation policy applies. If you are booking as a single it may be possible to share a room. Call Dee about this. Some rooms have kitchens. TV’s are available in a limited number of rooms, but everyone is welcome to use the Smart TV in the common area, no cable service. Breakfast is included and consists of fresh baked goods, fresh fruit, yogurt, homemade granola, a selection of teas and good coffee.